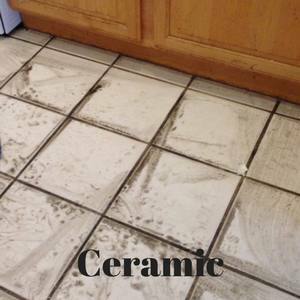 "Tile and Grout Cleaning is all I do!" How about TODAY? Call NOW! Estimate & Service Done Same Day! Las Vegas, Nevada has the best tile and grout cleaning service that returns tile and grout back to like new fast! Hard surfaces are far from immune from the dirt, grease, and grime that lay in your grout lines. And cleaning tile and grout by hand is quite literally back-breaking work. Even the most intense hand scrubbing can’t remove all the spills and stains that can get into the surface of your tile floor and grout. My cleaning process does a far better job than hand cleaning could ever do, and do it much more efficiently! 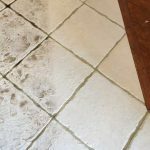 My cleaning service gets deep into the surfaces of your tile and grout lines to release dirt and carry it away, leaving you with gorgeous clean surfaces free from stains and germs. 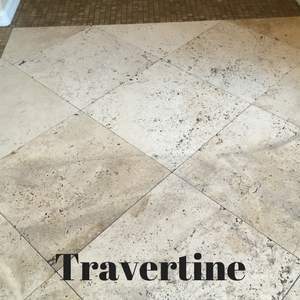 Your tile and grout will ultimately look as it did when first laid. 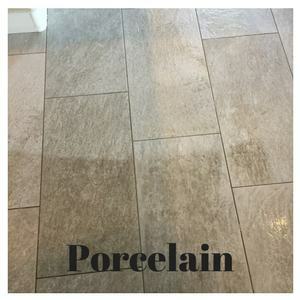 At the completion of your tile and grout cleaning service, a protectant (sealer) is added to help your grout lines and stone tiles resist stains more effectively and make future cleanings even easier. As Chief Dirty Grout, I return tile and grout back to “like new” in a very effective and efficient manner. My process is safe, refined and rehearsed over a 19 year period of doing nothing but tile and grout cleaning professional service. I am at every job to pay attention to your every need. Be rest assured your job will be complete, quality, and professional. Over 10,000 happy tile and grout local cleaning + sealing jobs completed. I am here to earn your business respectfully. I’d like to Thank You in advance for the opportunity! 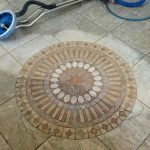 How I get Your Tile and Grout Beautiful! Upon initial inspection, special (safe) alkaline-based chemicals are saturated on your floors to help emulsify and uplift soils. A “turbo” tile cleaning tool hovers over your floors which is specially designed for all hard surfaces and is powered by the latest technologically advanced indoor safe machinery you can buy producing consistent hot steam and suction (2 hoses will enter your house or business). When this process is completed, expect a night and day difference. Watch Video Demo! All floors have different visual results, however, the end result will be dramatic. 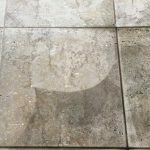 As a final step, quality clear water-based sealer is applied to help spills and stains stay on top (bead/repel) on both the tile and the grout and will leave your floors looking natural. 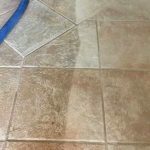 Tile and Grout Cleaning Professional Service recommends your tile and grout is cleaned and sealed using this process once a year, to keep your floors looking “like new” year around! Your floors will look beautiful as well as fresh! Las Vegas, Henderson, Summerlin, Green Valley,North Las Vegas, Boulder City, Anthem, Seven Hills, Southern Highlands, McDonald Ranch, Peccole Ranch, Aliante, Desert Shores, Red Rock, Spring Valley, Spanish Trails, Rhodes Ranch, Green Valley Ranch, Maderia Canyon, Centennial Hills, Providence, Mountains Edge, Tournament Hills, Queensridge, Inspirada and More! He showed up on time…Was very reasonable with his prices and he does great work. But his professional attitude is what set him above the rest of the people I contacted. Yelp Ray W.
Great job by Michael and son. They were on time, the price was right and the floors look great. I would not hesitate to call Mike again and will when we clean our tile and grout next year. Really satisfied!!!!!!! Yelp Clark W.
My floors came out looking great and my house smells good too! I think everyone could benefit from having their floors cleaned from this guy. Yelp Concetta P.